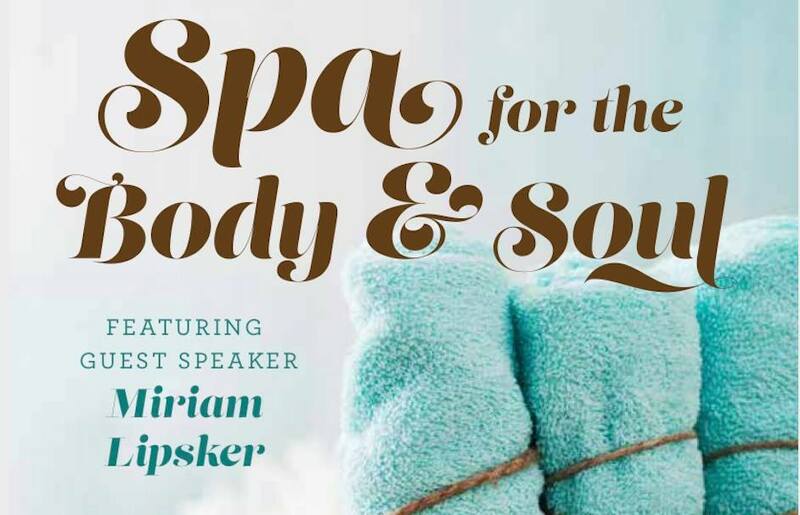 The Capital Region Jewish Women’s Connection invites you to the 14th Annual Spa for the Body and Soul, a joint event of area Jewish womens groups – open to community and students. Sunday, March 3rd, 2019 at Shabbos House. Pre-Event Spa Treatments 1-2pm; Luncheon, Presentation & Raffles 2-4pm. MIRIAM LIPSKIER of Emory Chabad will be the featured speaker, her topic is relationships. She’s funny, warm, engaging and meaningful. Be empowered, enriched and entertained at the same time. Parking will be at nearby Dutch Gold Student Lot and shuttle to Shabbos House will be available. Community please RSVP to Leah 495-0779/ jwc@capitalchabad.com. Couvert is $20 prepaid by February 18th, $25 afterwards. Students please be in touch with Raizy at Shabbos House. Miriam Lipskier is the co-founder and Director of the Chabad Student Center at Emory University in Atlanta, Georgia. Together with her husband and eight children, they have created a vibrant community of Jewish life and learning, hosting Shabbat dinners for hundreds of students each week. Miriam is a dynamic teacher of Jewish thought and spirituality who lectures internationally. She is on staff at Bais Chana Women’s Institute. She has been passionately teaching brides for over 18 years, using humor and wit to imbue time-honored tradition and kabbalistic secrets, which serve to enliven and elevate our most intimate relationships.